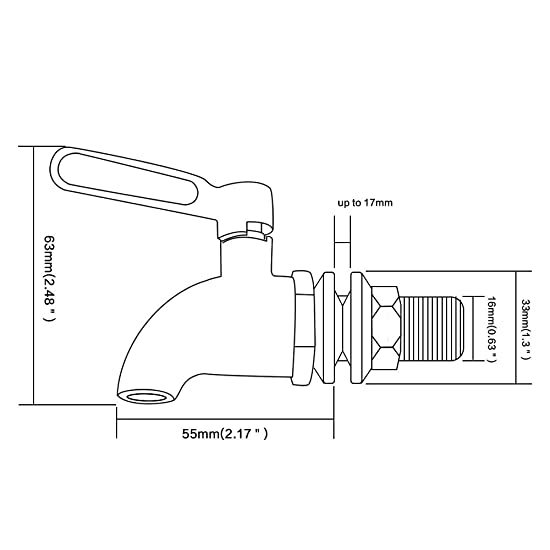 JOMOLA Superior Quality Stainless Steel Beverage Dispenser Replacement Spigot is designed to replace those easy to break and leaky plastic spigots on the market. Our spigots look decent, feel solid, and last a lifetime, perfect for Beverage Dispenser. 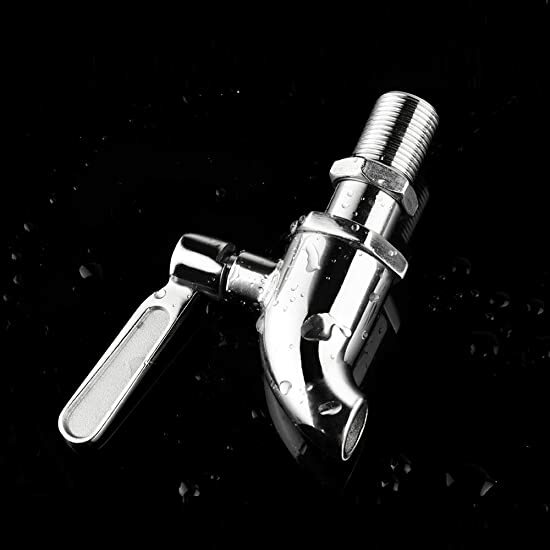 Durable stainless steel spigot makes serving easy, perfect for any beverage service application. 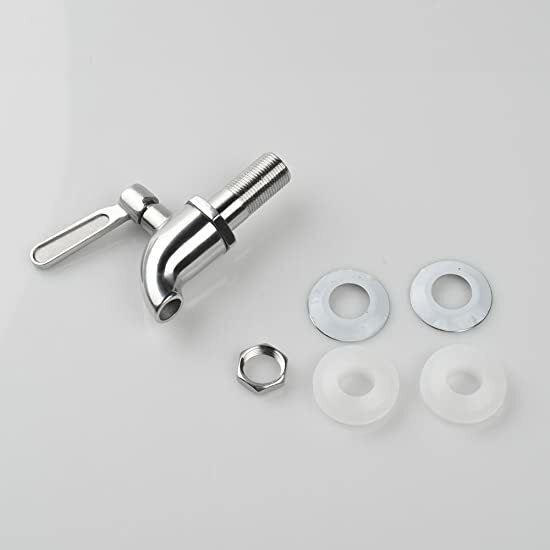 This is the Best Solid Stainless Steel Beverage Replacement Spigot for Water, Cold Beverages, Juices, ect. 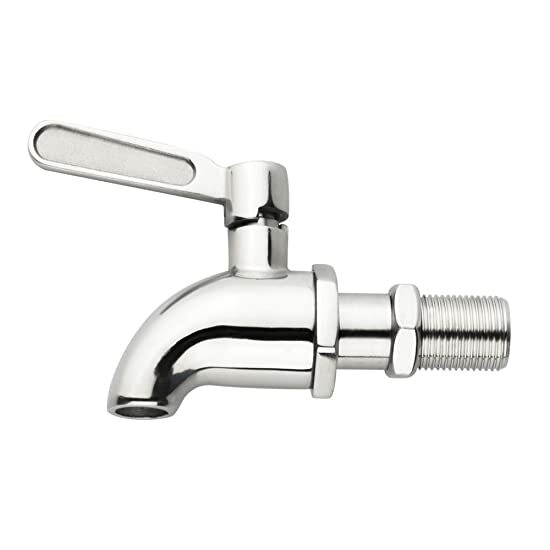 Quick Installation: This Beverage Dispenser Replacement Faucet requires 5/8 inch or 16mm diameter opening to install. It fits dispenser wall up to 11/16 inch or 17mm thick. 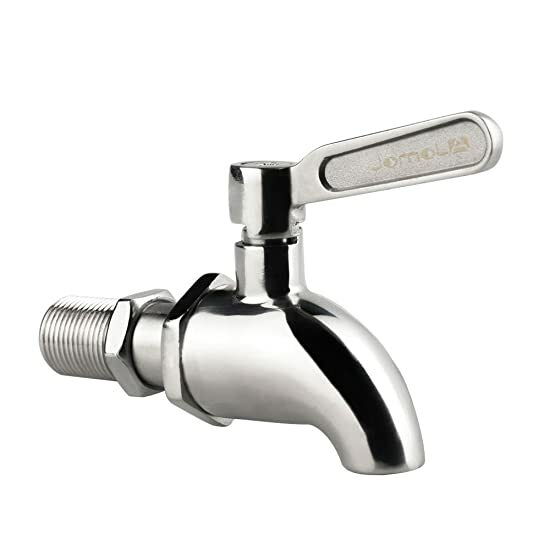 Premium Quality: JOMOLA Beverage Dispenser Replacement Faucet is made of SUS304 stainless steel, no lead included in the material, surprisingly durable and corrosive-resistant, good for health and with a long life with proper appliance. 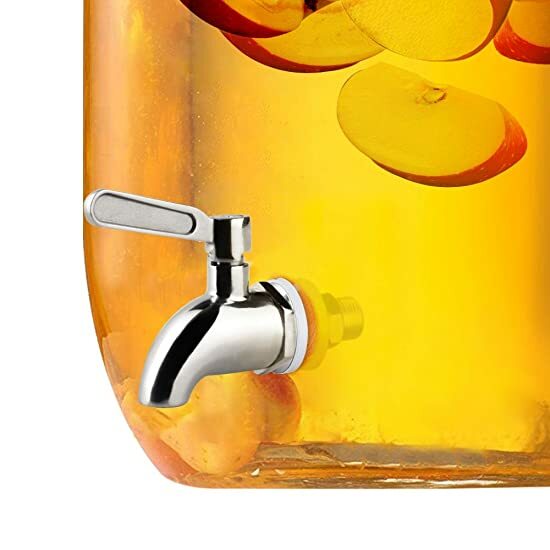 Multi-Function: This Replacement Faucet is great for dispensing beer,tea,wine,water, juices and other beverage. Notice: Wash before use. If necessary, use 3/4 inch wrench for the nut, do not over-tighten. 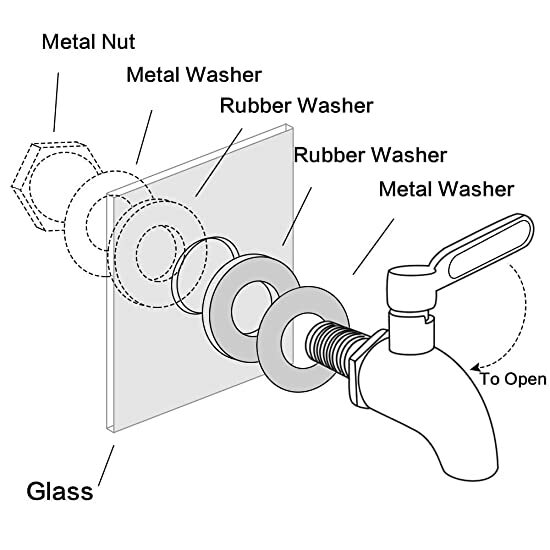 Rinse thoroughly by clean water with handle in partial open position (45 degree turn) after the usage. If used for sugary drink, we suggest removing the spigot from the dispenser and clean thoroughly. Fashion: JOMOLA Beverage Dispenser Replacement Faucet perfect replace those easy to break and leaky plastic faucet on the market and more beautiful.